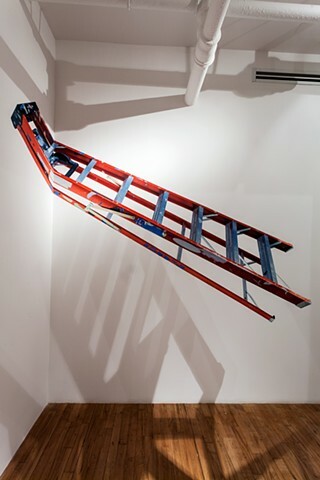 Robert Mann Gallery is pleased to present Jennifer Williams: Ladders, an exhibition of the artist's life-size, wall-mounted prints. 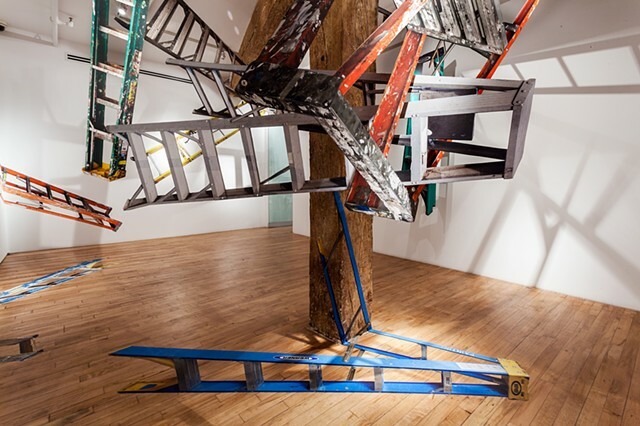 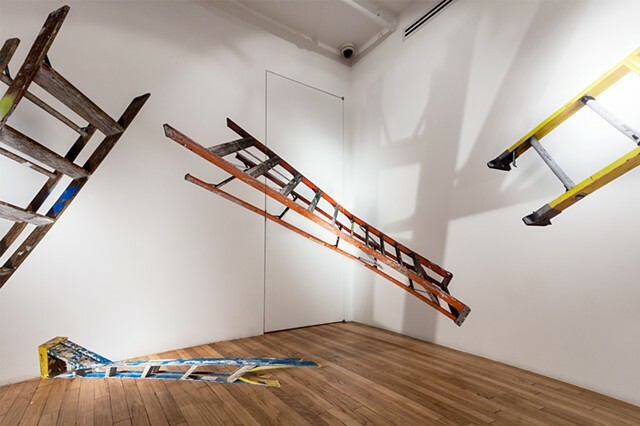 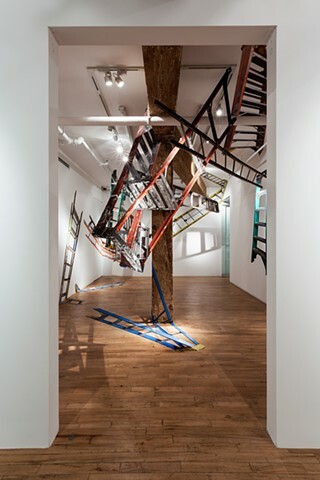 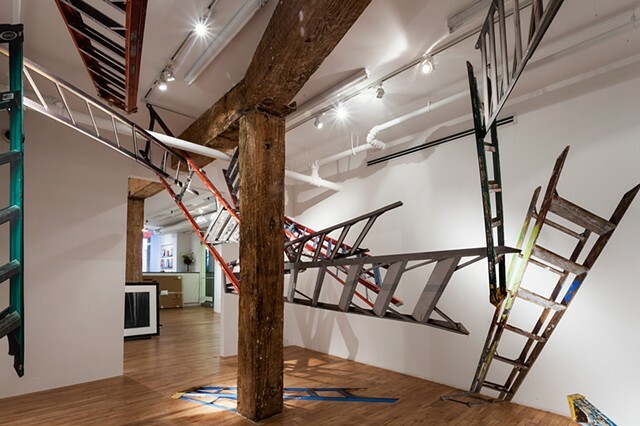 Subversive in their utilitarian simplicity, Williams' ladders stretch over walls and onto ceilings, performing trompe l'oeil tricks or abstracting through geometric gymnastics. 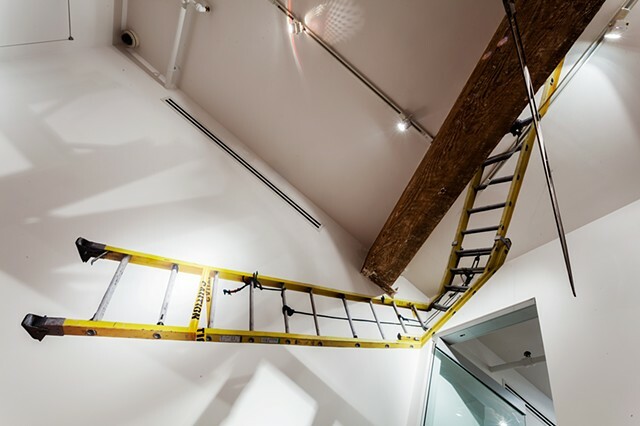 Individual ladders also take on distinct personalities—some battered, dinged, and colorful; some sleek, slim, and stainless-steel. 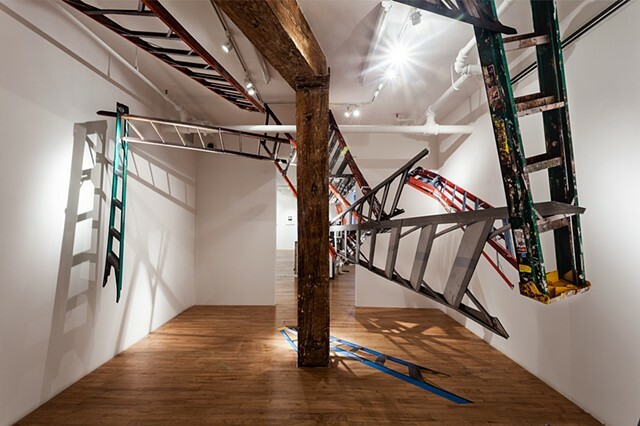 Tottering or firmly planted, short or tall, old or new: each is undeniable in its unexpected charisma.